It was requested that I do some more haul posts so here we go! I will endeavour to do a haul post at the start of each month to give you guys a look at what I’ve gotten over the last month that’s beauty related and anything that’s worthy of mentioning too. Hope I don’t create too many lemmings for you all! Here are September’s hauls. I am supposed to be on a polish/shopping ban but of course that went right out the door! However some of the items I’ve gotten in the last month were gifted to me so I technically didn’t break my ban much hehe. I forgot to add some other stuff in the photo oops. I made my 1st Glitter Gal purchase last week from their online store to get some holo polishes for some lovely bloggers I’m doing swaps with at the moment. I wasn’t going to buy any polishes for myself but of course I couldn’t resist and before you know it my credit card was seriously dented! I can’t wait to try these out. More holo goodness! 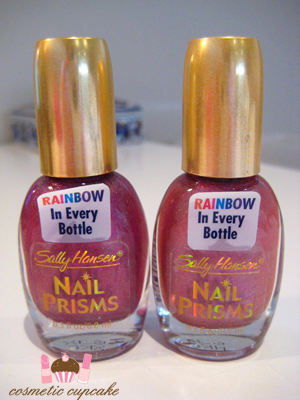 The boy and I went to Paddy’s market on the weekend and I picked up 2 Sally Hansen Nail Prisms. On other occasions we’ve gone to Paddy’s, I’ve admired these polishes but put them down again but not this time! I thought I deserved some holos after 2 brain draining days at uni haha. 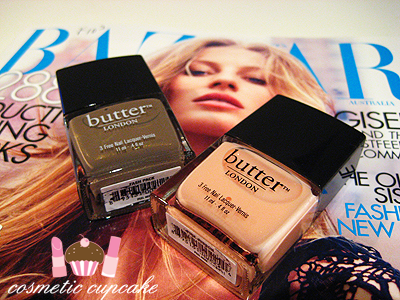 This months (Aussie) Harpers Bazaar came with a free Butter London polish with a choice of 2 colours. I bought the magazine with Pink Ribbon (the pink sheer) for myself as I’m not a huge fan of earthy nail polishes but my sis gave me Fash Pack (the mushroom creme) too. Woot. OCNail Art are currently having a promotion where you get plate m13 for free with code scary when you purchase over $30, coupon ends October 15th. I’ve been lemming more of the full nail design plates so this offer made it too good to resist!! Plus with the excellent exchange rate it made it even more tempting. 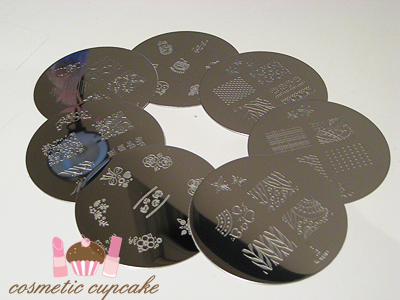 I got Konad plates m57, m60, m65, m73, m76 and m78. Customer service and shipping was fantastic as always. I’ve had splitting nails lately so I really wanted to try OPI Original Nail Envy out after reading some good things about it. The boy was kind enough to get it for me when I was last at the nail supply shop along with OPI Maintenance Nail Envy. Does anyone use this too? What’s the best way of using it? I’m thinking now that it wasn’t necessary to get the Maintenance too.. I was using Seche Plus originally which made my nails quite strong but I was still having issues with splitting. If you get splitting nails, what do you use to combat this? 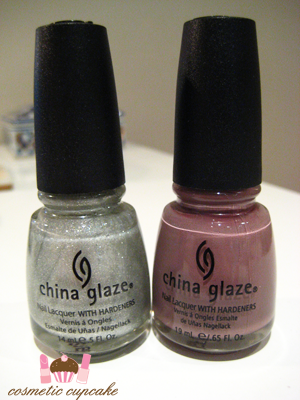 I forgot to add these to the group pic above but these were also gifted to me by the boy =) I heart China Glaze! What did you haul last month? Thanks for looking! Don’t forget to enter my Polished Pink for October giveaway for Breast Cancer Awareness month here! Great haul for one month! Very curios about thos nail prisms, I'll be checking your blog for swatches! 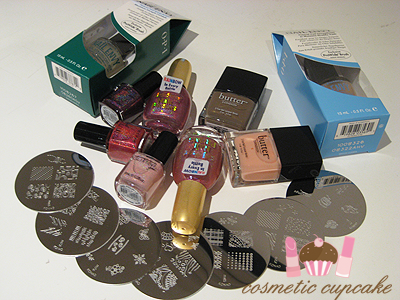 Such tempting treats you have there =D Would love to do a swap especially for those drool-wrothy Glitter Gal polishes!! I haven't heard about those holo Sally hansen nail polishes, are they new? The colors of the polishes are so nice. Excellent haulage. I wish we could get free butter london nail lacquers in our magazines. That is so cool. Hooo, I wish we had some of that in our country. Only locally available here are Sally Hansen and OPI. Swatches please! @PolishSis: I'll be using them soon hopefully! 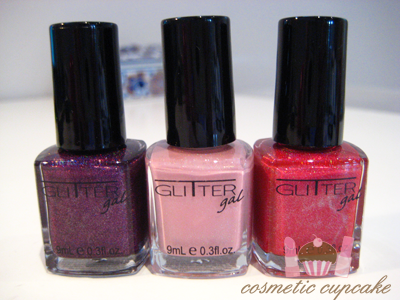 I swatched them on my nail wheel and they look very nice =) definitely check back soon!! @Freshie: Sorry to tempt you! 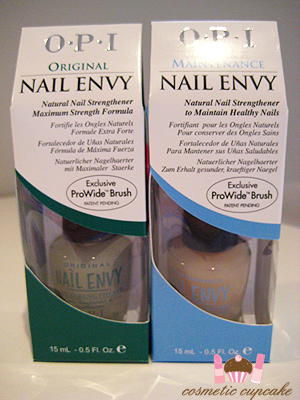 @Gaby: I believe this range of Sally Hansen's were released in 2002 and are now unfortunately discontinued. they're pretty hard to find but you can find a them listed on Ebay for differing prices. Hope that helps! @LOUCAS por KONAD: Yep Konad is awesome. Yes it is Spring here! @jellytelly_ri-chan: Ooooh nice! I bet you will LOADS of fun when they all arrive! Sure I'll try and let you guys know how I go with the OPI Nail Envy. I wish I could do more reviews and posts. How is the Sally Hansen Max growth going? @Chris: For some reason Aussie mags lately have been giving out excellent "freebies" (I never think the mag is worth it so it's just paying the $ for the product haha) such as the polish and last month I got an Estee Lauder lipgloss. They never used to be that good! I know what I'll be including for you in our next swap ;) must get to the newsagency before the mag sells out! @Simply Effortless: No worries I will be swatching them soon! If only I had more hours in a day! What a great haul! I can't wait to see your review on those products. Just wondering how many bottles of nail polish you own :)? Drooling over your Konad plates! I see a couple that I really wanted for myself :3 Loving those Butter polishes too. @PetiteLittleGirl: Ummmmmm at last count about a month ago I had around 250 polishes? I've gained a few more since then though =p I'm addicted to the fumes what can I say!